Argentina's capital is shutting down its zoo after nearly 150 years. On Thursday, the mayor of Buenos Aires said that “this situation of captivity is degrading for the animals, it’s not the way to take care of them," and that the 2,500 animals in the zoo will be relocated to nature reserves. The 44-acre zoo, which was originally built on the outskirts of the city but is now deeply embedded within the concrete jungle, will be reopened as an ecopark later this year. Animals that are deemed to old or sensitive to be relocated will remain in the ecopark. Mayor Horacio Rodríguez Larreta said that the new ecopark will be “a place where children can learn how to take care of and relate with the different species” as well as a refuge and rehabilitation center for animals, especially those that have been illegally trafficked. Larreta also said that Argentina is following a global trend of turning zoos into parks and animal sanctuaries. The debate around the role of zoos in modern society recently picked up steam in the United States with the killing of Harambe, a 400-pound western lowland gorilla, by officials at the Cincinnati Zoo after a 4-year-old boy fell into the primate’s enclosure. 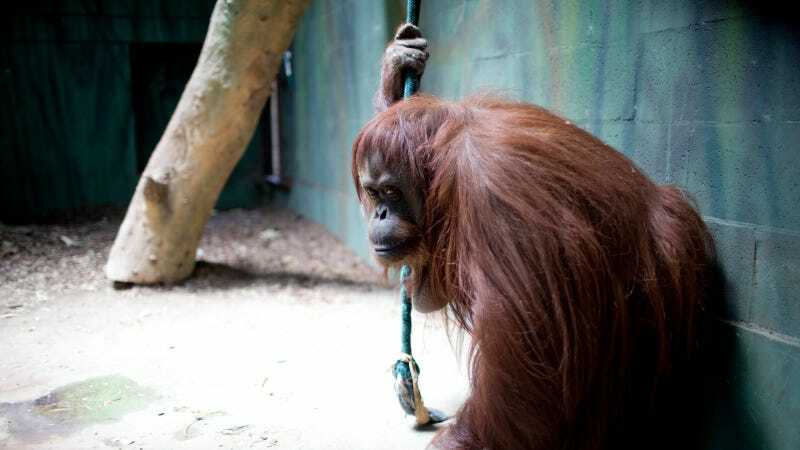 While zoos are a way for many children to develop a relationship with nature and can be a critical educational tool, they also subject animals to unnatural conditions. Life in the wild for apes is not so great either, as their populations are shrinking due to a variety of factors, including poaching, the bushmeat trade, environmental degradation, and disease. In the captivity of zoos they are safe, but the sacrifice is that they are entirely divorced from the life they were meant to be living in the wild. Wildlife sanctuaries and refuges seem to offer an acceptable middleground in which the public can still engage, important experiments can still be undertaken, and the animals can live in some sort of approximation of nature. In one instance of this, the National Aquarium in Baltimore recently announced it will be creating North America’s first dolphin sanctuary. As the general public becomes more involved with the treatment of captive animals, especially those used for entertainment purposes, the pace of change seems to be picking up. The Ringling Brothers recently announced they were retiring their elephant show after nearly 150 years and a new HBO documentary called “Unlocking the cage” draws attention to the effort to grant a limited form of legal “personhood” to chimpanzees that are caged in unpleasant settings. The zoo's biggest negative publicity centered around the zoo's polar bears, which were forced to endure the region's hot summers. Three and a half years ago the zoo's last polar bear, a bear named Winner, died in part due to unbearable heat and inadequate conditions. Argentina is also home to the "world's saddest polar bear," an aging bear that lives in similar conditions in a zoo in Mendoza. It is the last polar bear alive in the country. The Buenos Aires zoo is not the only zoo to announce it's closing this week. The Bowmanville Zoo in Ontario, Canada also announced it'd be closing at the end of the year. The zoo suffered a spell of negative publicity earlier this year after its director was charged with four counts of causing an animal distress and one of failing to comply with animal care standards.